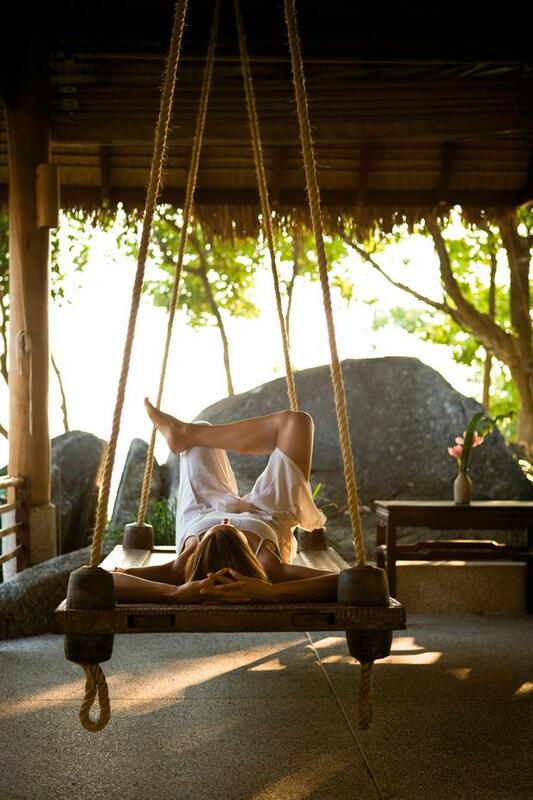 Looking for a healthy holiday to restore both mind and body? Orla Neligan has 10 suggestions to get you started. Holidays once meant excesses of food, drink and sleep, but more and more people want experiences that deliver on physical, emotional and spiritual levels. A booming wellness travel industry is now worth a whopping €529 billion globally, according to the Global Wellness Institute. Even if you’re not travelling to get your ‘om’ on, there are mindfulness apps, wellness festivals, and in some workplaces, lunchtime yoga sessions. Wellness holidays are no longer reserved for spa breaks, but have expanded to include everything from walking and yoga to extreme fitness boot camps, hot springs, skiing, cycling, cooking classes, and personal discovery. All are designed to cultivate a healthier lifestyle. Don’t cheat, I’ll find out,” laughs Caroline Nolan, who runs Monart’s popular ‘Monart Life’ five-day detox programme, which strictly forbids alcohol, caffeine and sugar. They’ve even segregated ‘detox programmers’ from fellow guests when it comes to food so there’s no buffet grazing. But it’s not all bad: days are filled with a mix of high-octane classes such as piloxing and boxercise, luxurious treatments such as mud wraps and reflexology, and delicious menus, even if they are calorie-counted. The programme, tailor-made to each individual, is designed to reach your ideal weight and improve fitness and Caroline’s personal encouragement, which continues long after you depart, is an added bonus. Rightly touted as one of the world’s leading destination spas, this is the ultimate five-star detox. Best for: People who are looking for a five-star fresh start... and can afford to pay top dollar. Don’t miss: The sauna ritual at 4pm each day. It involves a 90-degree sauna followed by a cold shower and an ice body rub. Just when you’re done patting yourself on the back, it’s back for round two. Top Tip: Drink plenty of water, before, during and after your treatments. Details: A three-day Monart Life detox starts from €479pp, with the full, five-day package costing €1,095pp. It includes full board, treatments, evaluations and a personal trainer. See monart.ie. Harvesting fresh seaweed daily and using only certified organic products, this family-run bath house in Strandhill just added two more awards to its string of accolades: Spafinder Wellness Travel awards for Best Hidden Gem, and Best in Ireland. Before you think a seaweed bath is akin to a swim in the kelp-infested Irish sea, it’s more like a warm luxuriant soak in a milk bath — the result being smooth, butter-soft skin, and a body you might have to drag home. The initial steam treatment opens pores, letting the beneficial nutrients and natural oils in the seaweed go to work, moisturising skin, increasing circulation and promoting healing. Best for: Overworked, stressed, tired bodies and dehydrated skin. Don’t miss: The combination of a hot therapeutic seawater bath followed by a full-body VOYA massage. The bath detoxes the body and loosens muscles making the massage more effective. Top Tip: Your body will expand due to the intense heat of the treatments so, if you don’t want to spend an hour trying to get your skinny jeans back on, it’s advised to wear loose clothing. 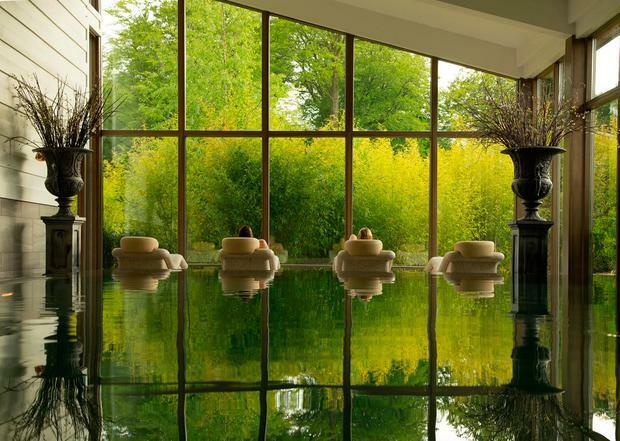 Details: A single seaweed bath costs €28, while a full body massage is €65. See voyaseaweedbaths.com. The world’s most stylish (and serious) spa — think hospital meets five-star hotel. It’s a favourite of Vladimir Putin, but don’t let that put you off. Whether it’s to lose weight, stop smoking or sleep better, what sets this spa apart is its crack team of experts and blend of traditional Chinese medicine and genetic testing, with a macrobiotic diet at its core. Forget limp lettuce leaves, the head chef spent time at El Bulli and it shows in the flavoursome food — even if it is on the light side. Best for: Weight loss, detoxing. Don’t miss: Being pummeled by a hydro-jet in the state-of-the-art aqua gym; a rooftop yoga session at sunset; a macrobiotic cooking lesson. Top Tip: Withdrawal headaches are expected and might leave you surly for a day or two, but that’s about as punishing as it gets and a small price to pay when you leave feeling five years younger. Details: Prices vary depending on the type of programme and length of stay. A seven-day detox programme costs €3,150 (excluding accommodation, which starts at €295 per night). See shawellnessclinic.com. To most people, relaxing usually involves a few extra hours in bed. But at Lake Isle’s popular Relax and Restore Retreat, it’s achieved with 6am starts and a trip to a nearby temple on Inish Rath Island to experience morning chants and meditation. Owner Tim McEvitt promises you’ll be floating to bed that evening. You won’t find anything new-fangled here; the weekly retreats are designed to restore you to a simpler way of living with plenty of time for contemplation and communing with nature, and include a mix of yoga, T’ai chi, treatments such as massage, reiki, reflexology, meditation, and walks. Best for: A low-key spiritual retreat. Don’t miss: The feast on Sunday afternoons on Inish Rath island; a night-time kayak on Lough Erne. Top Tip: Don’t forget your walking boots for those forest hikes. Details: Weekend retreats cost €229 for a shared room, or €260 for a single room including all activities, therapies and food. See lakeisleretreats.com. According to a recent study by the Mayo Clinic, strapping on your skis enhances overall happiness and well-being. Add in some après-ski spa therapy, and there’s likely to be fewer aesthetically pleasing and feel-good holidays. 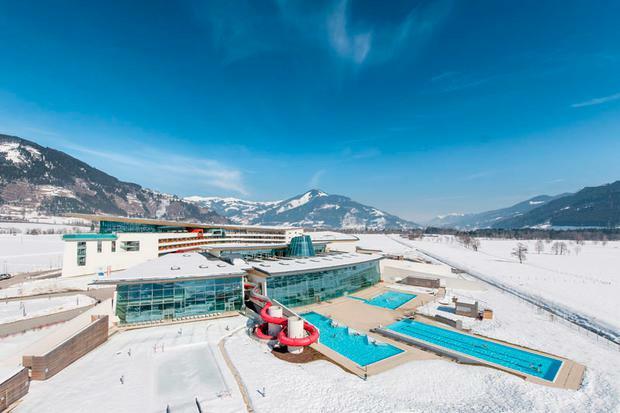 The recently opened Tauern Spa in Zell am See, Kaprun, is an Alpine resort with a firm focus on wellness. Its trump card, the 20,000 sq m water and sauna world, boasts 11 indoor and outdoor pools, 10 saunas, steam baths, a gym, skyline infinity pool with mountain panoramic views, and a water world and spa for the kids. Its location is a short hop from the ski hills, meaning you can be soaking in warm waters just minutes after tearing up the slopes. 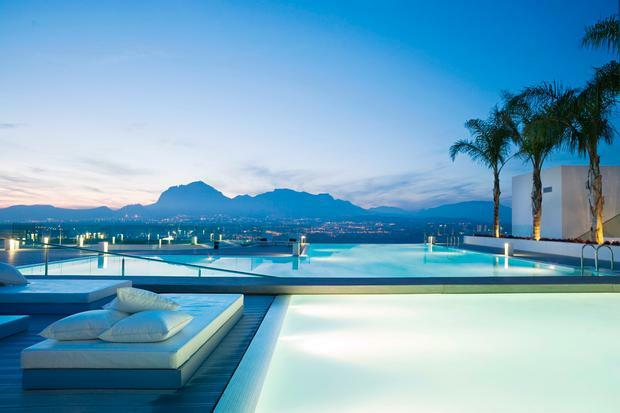 Don’t miss: A dip in the glass skyline infinity pool with a snowy mountain panorama. Top Tip: Ask for a room with a balcony, preferably facing south west so you can enjoy the views of the glacier on the Kitzsteinhorn mountain. Details: Crystal Ski has seven nights half board from €959pp from March 11-17. See crystalski.ie. It’s been described as a ‘wooden UFO’, but if you want back-to-nature, this is where it’s at. The yurt-like eco lodge blends into the Sligo surrounds with its wildflower roof and timber-facing, geothermal heating and rainwater showers, and promises a stress-free break. Stay in one of the indoor tents or book yourself a dorm or bedroom. Their monthly three-day Fit Food Retreats combine yoga, wellness workshops and cooking demos, with SUP and surfing for the dare-and-do folk. Chef Finn Ní Fhalaoin heads up the kitchen and the inspired vegan menu, with much of the produce from the garden, is a real highlight. Best for: Rural relaxation with a few thrills thrown in. Don’t miss: The Saturday night banquet with music and drinks around the sunken fire pit. Top Tip: Apart from your swimsuit, pack some walking gear; the retreat includes hikes to Carrawkeel and Queen Maeve’s tomb and picnics in the wilds of Sligo. The mother of all wellness retreats, recently awarded Best in Asia by Spafinder Wellness, this rainforest resort is world-class on every level — with a coterie of therapists and teachers to help get you in shape. The focus is a synergistic wellness experience combining treatments, therapies, activities, environment, cuisine and people, aimed at accommodating personal goals. If you just want to squeeze in some sun salutations between beach-lounging or if you’re after a fully loaded week of activity, everything from detoxes and weight-management programmes through to stress and burnout packages, are on offer. Either way, you’re likely to come back feeling Zen, tan, lighter and enlightened. Best for: A sunny, rejuvenating escape that’s relatively affordable for long-haul. Don’t miss: A meditation session with former monk Rajesh Ramani, one of the life-enhancement mentors running a series of emotional balance retreats throughout the year starting in April. Top Tip: Book a massage for the day you arrive, it’ll be a welcome relief after the long-haul flight. Details: Three-night Relax and Renew programme from €1,258pp including full board, all treatments, transfers and holistic activities. Double rooms from €110pp sharing. See kamalaya.com. Even a brief glance at what’s on offer at the Burren Yoga Retreats will have you feeling a little restored: yoga and meditation, boat trips to the Cliffs of Moher, hill-walking, surfing, kayaking, high-quality vegetarian food and the very best teachers. The location, in the Burren Geopark, is the antithesis of the flashy urban studio — a stripped back, simple backdrop to encourage you to unwind the mind and get back to nature. Dave Brockelbank, a highly experienced meditation teacher who runs over 40 retreats each year, personally picks 16 yoga teachers and oversees retreats which have a maximum of 15 people — from total newbies to more experienced — to ensure personal attention. Best for: All ages and abilities are welcome. The social aspect is a big focal point of the retreats — 90pc of people go on their own, so it might be best suited for a single person looking for an inspiring few days with like-minded people. 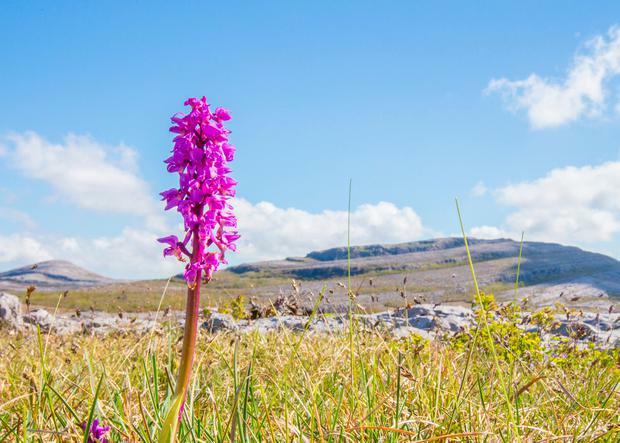 Don’t miss: The guided outings to the Burren and other gems on and along the Wild Atlantic Way. Top Tip: Extra activities such as boat trips to the Cliffs of Moher, massages or surfing lessons are an additional fee. Details: Weekend retreats from €320pp sharing, €380 for a single room, with prices including accommodation, food, all yoga and meditation classes, guided outings. See burrenyoga.com. This is one for budding hill-walkers with a yen for English literature and history. 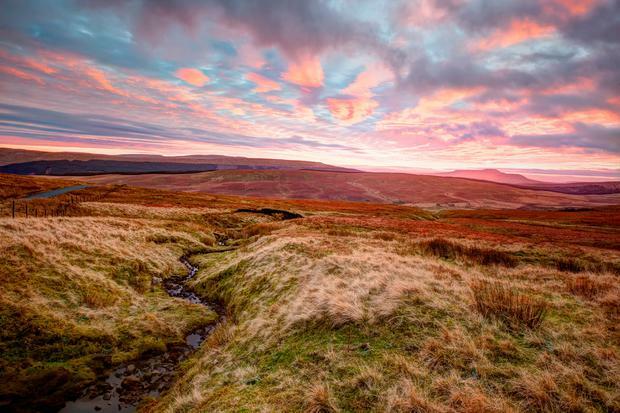 The seven-day guided walking holiday in the Yorkshire Dales combines a good mix of challenging walks, exploring the wild countryside and spectacular limestone scenery, home to famous Brontë sisters, Charlotte, Emily and Anne, with historical locations and charming villages. Daily walks average approximately eight to 18km and include a good dose of downtime. Highlights include walks in Top Withens, inspiration for the novel Wuthering Heights, and a visit to the Brontë Parsonage, where the sisters lived. Best for: Avid walkers, literature lovers and history buffs. Don’t miss: The area is a popular film location, so look out for familiar scenic backdrops for movies like Robin Hood and Harry Potter. Top Tip: Tap your expert guides for additional recommendations on what to see and do in your leisure time. Details: Seven-night breaks from €1,049pp include flights, accommodation, transfers, guides, excursions and walks. From July 3. tdactiveholidays.ie. 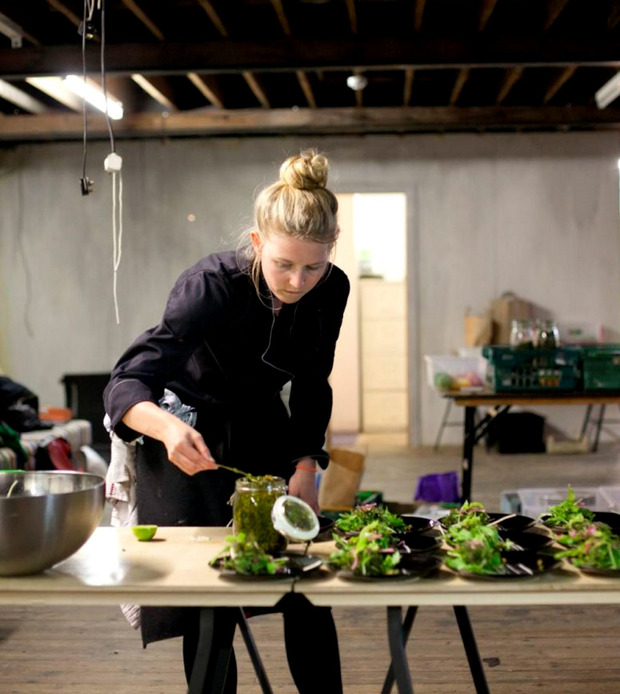 Food lovers are in for a real treat with raw food guru Katie Sanderson (above) in the kitchen. Known for her imaginative and surprising food events, whatever the project, you’re always guaranteed an original experience with Katie. Apart from regular yoga brunches at Dublin’s Fumbally Stables throughout the year, 2017 will see her teaming up with a host of yoga teachers both in Ireland and abroad for multi-day retreats, with menus devised to nurture specific needs of your body. Kick-start the new year with Amy Kokoszka’s dynamic yoga retreat in the Wicklow Mountains in January. Katie’s popular Black Moon Feasts with teacher Lou Horgan, which take place bi-monthly, focus on deeper restorative practices with food designed to calm the nervous system. The duo will also team up for their annual Sicily retreat in September. Autumn sees Katie join James Higgins on his yoga immersion retreat, finishing it off with an ayurvedic feast. Foraging and finding new ingredients is key to Katie’s method, so expect your taste buds to be pleasantly surprised. Best for: The inquisitive foodie. Don’t miss: Lou Horgan’s Sicilian retreat in a restored 10th-century farmhouse ends on a high with Katie’s yoga feast in a restored barn with ingredients foraged from the local area. Yum! Top Tip: Carnivores might struggle since the menus, designed around specific types of yoga practices, are vegan with plenty of raw food... but Katie promises your body will thank you. Details: Check websites for pricing: katiesanderson.com; louyoga.com; hayokayoga.com; thefumballystables.ie; jameshigginsyoga.com. NB: All prices subject to availability.